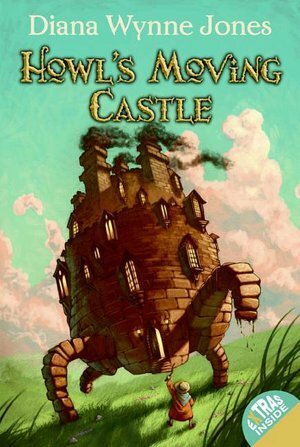 Recommended For: Readers looking for a fun and quick read that will bring them back to their childhood. Today we have Candice from The Grown-Up YA chatting about different adaptations of Much Ado About Nothing! As I told you guys before, this play has the best adaptations! Enjoy her reviews and clips below and then head over to a Rafflecopter giveaway to enter our giveaway for a chance to win a Shakespeare retelling of your choice! One of my favorite Shakespeare plays is Much Ado About Nothing. I’ve loved this one since I was young and feel like I get more out of it every time I watch it! My favorite thing about this particular play is the two main characters, Benedick and Beatrice. I’ve always been a fan of witty characters who banter with each other, although wouldn’t surprise me if the reason I loved these types of characters was because of these two! Today I’m talking about 3 different adaptions of this play, all of which I encourage you to go watch! I’ve focused on the two main characters, Benedick and Beatrice, and about how great I found these performances to be! When I heard my favorite director was going to be adapting my favorite play starring my favorite TV couple I swear I squealed for DAYS. I literally became the ultimate fan girl. What made this one even better is that it is chock full of Whedon-esque actors. With a modern day setting and only minimal changes, I was very glad to see that this adaptation stuck to the original play. At first I might have had a teensy bit of trouble separating Benedick and Beatrice from Wesley and Fred, but after a little while that went away. The film definitely has that indie, college film student, foreign film vibe going on but I thought that just added oh so much to the story. One thing I did notice about the portrayals in this adaptation was that it was very somber at times. While in other adaptations the interactions between these two characters are active and almost border-line comedic, I felt this one took on a darker tone and certain lines felt like a punch in the gut. There was a little back story created between Benedick and Beatrice, so hearing some of their dialogue changed the meaning from light banter to pain-tinged arguments. Now for some more fangirling! Did you know that there is a Doctor Who edition of Much Ado About Nothing? Did you? DID YOU?! I didn’t either. I watched a few clips from it and man oh man David Tenant really knows how to stretch his acting legs. While I love how he acts anyway, there is nothing better than when he really gets going. His whole body expresses what he is saying, his facial expressions are top notch, and throw in that Scottish accent and it’s like something magical happens! And Catherine Tate is just phenomenal period. I love her humor and the way she can deliver a line. While I can’t see her as anything but Donna Noble, the little I’ve seen of her as Beatrice was perfectly endearing! One thing that I think is oh so important to these roles is the chemistry between the two actors. Benedick and Beatrice, while disliking each other, have this perfect chemistry that allows them to banter and bicker flawlessly. It’s a battle of wits, to the death! Tenant and Tate have great chemistry already which I think makes them both perfect for this bantering couple. David Tenant never ceases to entertain me! I would be absolutely remiss if I didn’t talk about the performance that made me absolutely fall in love with this play, the 1993 film with Kenneth Brannaugh, Emma Thompson and every other popular 90s actor. Let’s be honest: Kenneth Brannaugh is phenomenal. 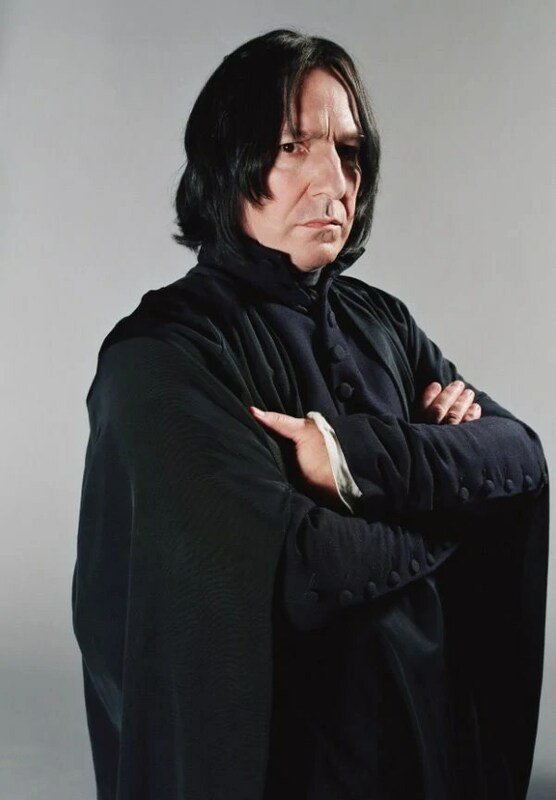 I have yet to see a role he has played that I have hated. Ditto times a million for Emma Thompson. These two are like the Hollywood dream team in my opinion and their performances as Benedick and Beatrice were spot on. I love this particular scene. Even though they’re both being pretty scathing to each other, you don’t feel like you’re watching something completely awkward and horrible. It’s like either of them could say something absolutely horrible to you but with the way they said it you would probably laugh and go have a beer with them afterwards. What strikes most about these two characters is their range as actors. They can both express a myriad of emotions and feelings and thoughts seamlessly. These two characters certainly have a way with words and their tongues are extremely quick; while I’ve never played either role (obviously) I imagine with all those words their meaning can easily be missed. I never felt that Brannaugh nor Thompson let me miss a single thing thanks to their spot on delivery. This play truly has it all: deception, love, mystery, romance, deception (so much that I listed it twice! ), comedy, wit, pain, passion… Out of all Shakepeare’s plays, this one really captured my attention and my heart. Okay, I am incredibly excited for today’s post! Today we have C.J. from ebookclassics writing about Shakespeare references in popular culture! I LOVE when I find references to some of my favorite works – this happens often for me as I love Shakespeare and The Wizard of Oz, they are always referenced! Let’s see what C.J. found!! Also don’t forget to check out a Rafflecopter giveaway to enter for a chance to win a Shakespeare retelling of your choice! 1. Iron Man rewording a Shakespeare quote to tease Thor in The Avengers movie (2014). 2. William Shakespeare as a master builder in The Lego Movie (2014) and heckling Emmett, the main character. 3. The Bard is a favorite of Orange is the New Black’s fierce poem quoting Crazy Eyes played by Uzo Aduba. 4. The pairing of Shakespeare’s star-crossed lovers with our strange obsession with zombies in Warm Bodies by Isaac Marion, both a popular YA novel (2010) and movie (2013). 5. MacHomer, a play that combines the doh-ness of Homer Simpson with Shakespeare’s most intense protagonist. 6. Mumford and Son’s debut album title, Sigh No More (2009), is taken from Shakespeare’s Much Ado About Nothing and several lines from the play are in the song. 7. The Tenth Doctor and Martha meet Shakespeare and foil a dastardly plot in The Shakespeare Code (Doctor Who, series 3, 2007). 8. Who would know better than someone close to her? The novel, Juliet’s Nurse by Lois Leveen (2014) is a modern retelling of Romeo and Juliet. 9. We see how two black men in Shakespeare’s time react to Othello in a hilarious Key and Peele skit (2013). 10. The addictive, House of Cards, is greatly influenced by Shakespeare and, in particular, Richard III, with Frank Underwood played by Kevin Spacey often breaking the fourth wall with the audience. What do you love about Shakespeare? What are some of your favorite Shakespeare references in pop culture? 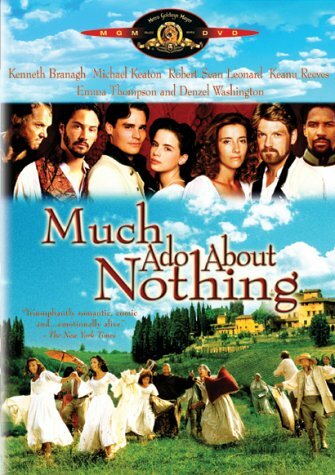 Today, we have Lily from ChaptersPagesWords reviewing the (in my personal opinion) FANTASTIC Kenneth Branagh adaptation of Much Ado About Nothing!! This is one of my favorite Shakespearean adaptations EVER! Enjoy Lily’s review and don’t forget to head over and check out a Rafflecopter giveaway to enter for a chance to win a Shakespeare retelling of your choice! I very much enjoyed this movie not only because of the plot but because of the characters, setting and overall experience. I would recommend this movie to anyone thirteen or older because I found this movie fun and entertaining. Much Ado About Nothing was a great retelling of the play by Shakespeare. Branagh does a good job of taking the best part of the play and making them into the movie. The movie is set in Messina in Italy so the setting throughout the entire film is beautiful. The setting is an important aspect in this film and was in my opinion well chosen. Much Ado About Nothing is meant to be set in 1598 and Branagh chooses to show this in an interesting way that made it fun for me to watch. This movie / play is a comedy and it did make me laugh. So many things go wrong in the plot of this movie and the actors/actresses become characters that you sympathise with and grow to love. Although the film is in Shakespearean language, the movie was easy to follow and at times the plot benefited from this asset. I think this movie was very well adapted from the play. With the amazing choice of cast and setting, this movie was overall very enjoyable and loyal to the play. That’s all for this review, I hope you enjoyed and I’ll see you soon! Recommended For: Those of you who are looking for a novel filled with layered and unforgettable characters, intense relationships, and intriguing mysteries. Right, first things first…I absolutely loved Unspoken. 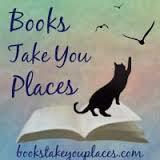 In fact, I loved it so much that I immediately read the rest of the series upon completing book one. 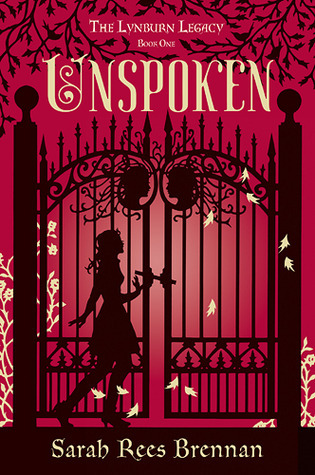 Unspoken is filled with wonderful and intricate characters, fantastic relationships (of all kinds), and some dashes of mystery that kept me guessing. If you haven’t read this series yet, I suggest you do so immediately. 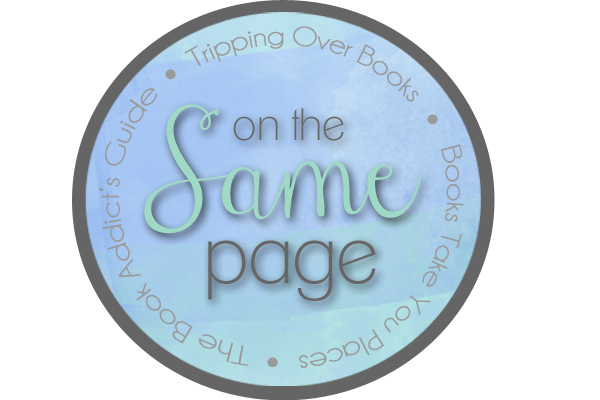 On the Same Page is a new feature here on Books Take You Places that I am hosting along with two of my very dear friends, Amy (Tripping Over Books) and Brittany (The Book Addict’s Guide). Essentially, we will be reading one book a month together and then doing a non-traditional review such as a playlist, character analysis, and so on…To find out more about this new feature, head on over to its dedication page! Today I will be talking about Vicious by V.E. Schwab and in a few days I will be getting into a more traditional review of this novel because it really got me thinking about SO MANY THINGS that I want to share! For now, I thought it would be fun to go a different way (that is, away from the villains that I usually focus on) and focus on the different types of literary heroes. Keep in mind that these are all my personal opinions and the beauty is that these are layered characters and can therefore be defined in different ways. The willing hero is adventurous, committed, and brave. He (or she, except this is unfortunately uncommon) is willing to take great risks and make sacrifices to save others. Someone who is “born great” instead of “having greatness thrust upon him,” is also another important factor in the case of the willing hero. An obvious choice would be King Arthur; he was born with responsibilities and chooses to be a willing and kind leader. A lesser known example would be Jean Valjean, in Les Misérables, when he rushes to the barricade to try to save Marius for the sake of Cosette. An unwilling hero is a more passive person, full of self doubt and hesitant to do anything to take themselves out of the safety they have built around them. This hero uses things such as brainpower to overcome obstacles, instead of brute strength that he (or she) is perhaps missing. You will almost always find this hero with a sidekick or some other outside force of motivation as they will lack the willpower to move forward on their own. A great example of the unwilling hero is Frodo Baggins from The Lord of the Rings. Peripeteia – A reversal of fortune brought about by his or her tragic flaw. Epiphany – The hero becomes self aware of his actions and consequences. Catharsis – The audience feels pity for the hero. Excellent. Now who does this remind you of? His call to action is of course, Dumbledore literally calling him to action to protect Harry as he grows and he is overcome by too many inner demons for us to count. Hamartia – Ohh it could be so many things! Trusting Dumbledore? Not trusting enough? Let’s say his inability to let go of the past and allow himself happiness. Peripeteia – By holding back (even from Lily as a child) he misses out on so many opportunities for happiness. He had hoped that Lily would be avenged by his saving Harry but then learns that Harry must die in order for Voldemort to die as well. Epiphany – He recognizes that Harry has Lily’s ability to love as well as her eyes, he realizes that had he let go of his hate and loved as Lily would have wanted him to he could have led a happier life. Catharsis – Of course the audience feels pity for the hero while he begs Harry to take his tears and look at him one last time so that he can see the eyes of his beloved! As I previously stated, these heroes can fall into different categories but for fun let’s see how Sherlock fits in with the Byronic hero. He is broody, mysterious, has distaste for social norms, is arrogant and self-destructive. All beautiful qualities of a Byronic hero in literature. Sigh. Ohh one of my favorites! The anti-hero is usually a rebel, someone who is perhaps looked at as an outlaw to society but who usually gains the audience’s sympathy. This is Victor Vale in Schwab’s novel Vicious, but it also relates to the one and only..
Jack Sparrow! Willing to take the law into his own hands to obtain his goals yet he is simultaneously charming and selfish. He often chooses the “wrong” path if it is easier and gets him to his goal faster. I love him anyway! 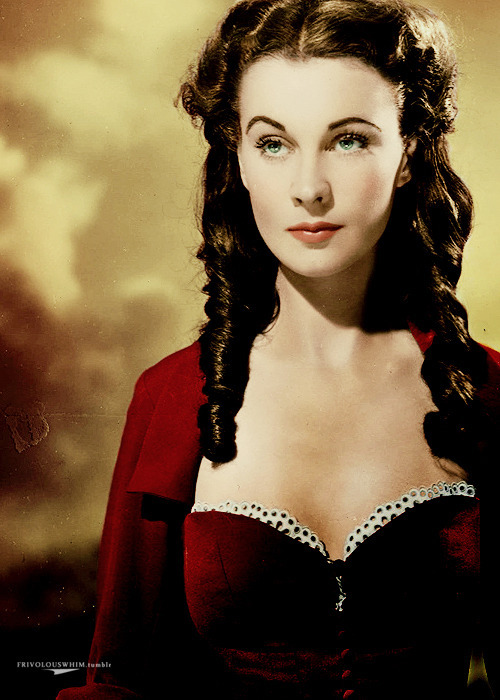 Since we are tragically missing females in this list I am going to provide you with my favorite female anti-hero: Scarlett O’Hara! She is incredibly self serving and uses her beauty and charm to obtain whatever she wants, at any cost. She doesn’t care who she hurts, and sometimes she works solely out of malice. Her drive? Survival. Self preservation at its finest. Please, discuss! Tell me what you think of my choices and who you would choose as your heroes! Other fun posts related to Vicious by V.E. 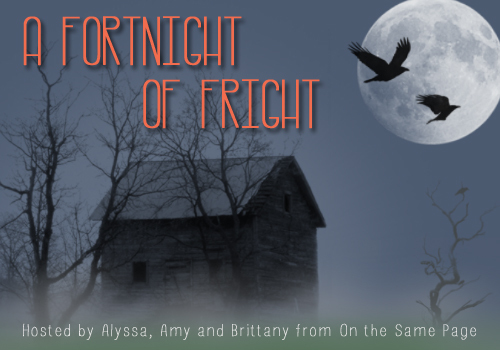 Schwab can be found on Brittany and Amy’s blogs, so head on over! Classics Retold is wrapping up! I had a lot of fun with this project, though I am disappointed that I didn’t get to read and watch as many of the retellings as I had hoped..life got in the way and all that! Today I am going to do some mini reviews of a few Robin Hood movies and the BBC adaptation of Robin Hood. Robin Hood Prince of Thieves – As I mentioned in a previous post, this is my favorite Robin Hood movie, it actually may be my favorite movie in general. I know that there are so many people who make jests about this film for various reasons, the fact that Kevin Costner couldn’t master the English accent being one of them, but I personally love this romanticized version of my favorite tale. The producers of Prince of Thieves focused more on the relationship between Robin and Marian, the tagline for the film read “For the good of all men, and the love of one woman, he fought to uphold justice by breaking the law,” which really shows the emphasis put on his love for Marian. Kevin Costner is totes handsome, even in Waterworld, and MORGAN FREEMAN plays Azeem, you know Morgan Freeman rules. You guys, I love this movie so much that I can quote every line and play part of “Everything I do” by Bryan Adams on guitar. I love it so much that I bought the extended bluray DVD, and *spoiler alert* it is extra cool because it gives evidence that Mortiana (the witch) is actually the Sherriff of Nottingham’s MOTHER. She kidnapped the son of the last sheriff so she could put her son in the place of power, wed him to a royal, and therefore make it so her line sat on the throne. Super creepy, but you go girl. Robin Hood: I would die for you. 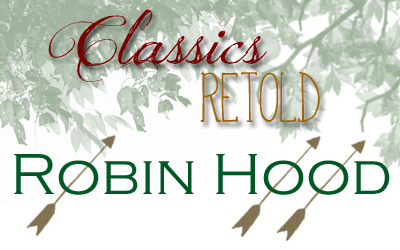 Robin Hood: Men in Tights – Who doesn’t love a good Mel Brooks film? Despite the fact that this is almost a direct parody of Prince of Thieves – no really at one point Robin looks at the camera and says “Because, unlike some other Robin Hoods, I can speak with an English accent,” this movie still makes me laugh out loud. I fell in love with Cary Elwes while watching him play Wesley (obvs), but I will love him forever as Robin. If this hasn’t sold you, it also features a young Dave Chappelle. Prince John: Such an unusual name. Latrine. How did your family come by it? Latrine: We changed it in the 9th Century. Prince John: You changed it to Latrine? Latrine: Yeah! It used to be Shithouse. Prince John: It’s a good change…..it’s a good change. Robin Hood (BBC) – Now, I’ve only seen about half of season one but I am HOOKED. First of all, Robin is a STUD, as are some of his “merry men,” in fact, the actor who plays Viserys in Game of Thrones plays (a brunette) Will Scarlet, and AHEM…RICHARD ARMITAGE IS GUY OF GISBORNE! HELLOOO Thorin Oakenshield!! Second of all, it’s quite funny in that BBC way, you know the kind that makes you chuckle but not quite laugh out loud. Another thing I absolutely adore about this version is that Marian is a BAMF. She knows how to use that bow just as well as Robin does, and she uses her wiles to gain insight as assist Robin and his men. I’ll be honest, this version also has some sad parts and it isn’t presented with the greatest of special effects. Still, it is incredibly entertaining – and it’s on Netflix, so go forth and watch! Marian: He has to have the glory, doesn’t he? Much: Glory? Nah. I think he just wants to be loved. So that wraps up Classics Retold! Please go to the Classics Retold page under Events on the menu up top and look at the wonderful Classics Retold posts written by fellow bloggers! Welcome to Project Fairy Tale! If you want to learn more about this fun event head over to my intro post! I’m not going to sum up the film because it is unfathomable that anyone would be unfamiliar with it and if you are, stop what you’re doing and go watch it right now. You’re welcome. Instead we are going to go over some less known fun facts about the movie! The song “Over the Rainbow,” performed by Judy Garland, was ranked number 1 in AFI’s “100 Years, 100 Songs” list. 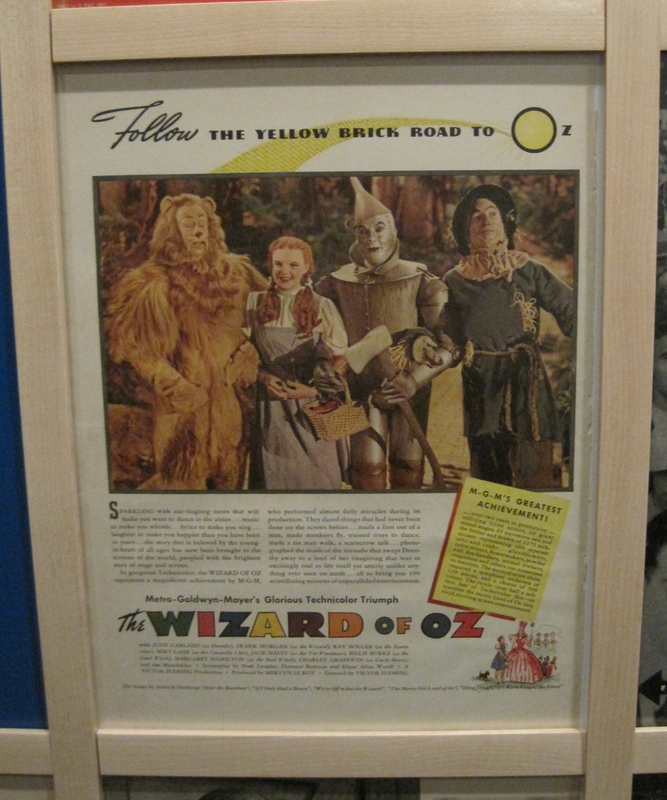 The Library of Congress has named The Wizard of Oz the most-watched motion picture in history. While The Tinman is singing “If I Only Had a Heart” you may remember a female singing, “Wherefore art thou, Romeo.” Does that voice sound familiar? It should because it is voiced by Adriana Caselotti, also known as Snow White! This is not the first film adaptation! Larry Semon produced a film in 1925 starring Oliver Hardy (yes, that Oliver Hardy) as The Scarecrow. This version had very little magical elements and was used as a point of reference for the 1939 film. At the time, full on fantasy films did not do well in the box office. It was because of this that the writers and directors of The Wizard of Oz decided to stray from the original plot and make Dorothy’s trip to Oz a dream sequence instead of a literal trip to the land. The script was changed a lot. Originally, there was a spoiled princess in Oz who had outlawed all forms of music, at one point in the film she was to go up against Dorothy in a singing contest. Another scene that was dropped (which gives me the sads) was a point at the end of the film where Hunk (The Scarecrow) is leaving for college and asks Dorothy to write to him. This was supposed to set up a hope in the audience for a romance to bloom between the two characters. Though this was dropped, Dorothy still tells The Scarecrow before she leaves Oz “I think I’ll miss you most of all.” I don’t blame the gal, Hunk is well…a hunk! Rumor has it that Shirley Temple was up for the role of Dorothy. Buddy Ebsen was originally cast as The Tin Man but within ten days had to be recast as he was in the hospital in critical condition due to the aluminum powder he was forced to wear while in character. No full footage of Ebsen as The Tin Man has ever been released. One of the first directors of the film had Judy Garland dressed in a blonde wig with what has been described as “baby doll makeup” and she played the part in an exaggerated way. Margaret Hamilton (The Wicked Witch) was burned during her exit in her first on screen scene. The grease from Hamilton’s makeup caught fire immediately and burned her badly enough that she was out of the studio for up to six weeks. Due to her injury, Hamilton refused to shoot another scene in the film in which she flies on her broom in a cloud of smoke. Her stand-in performed this scene instead and was injured due to a malfunction in the smoke machine! The “horse of a different color” was actually four different horses covered in different colored (and flavored) gelatin. The cast had to keep the horses from licking themselves in between takes! The famous song, “Over the Rainbow” was almost cut from the film! Producers thought it to be too long and too “old” for the intended childhood audience. I was lucky enough to visit the pair currently on display at The Smithsonian National Museum of American History! While we were there they told us that they need to replace the carpet in front of the case very often because it gets worn from so many people stopping in front to see the slippers! These slippers were auctioned off in 1970 for only $15,000!! 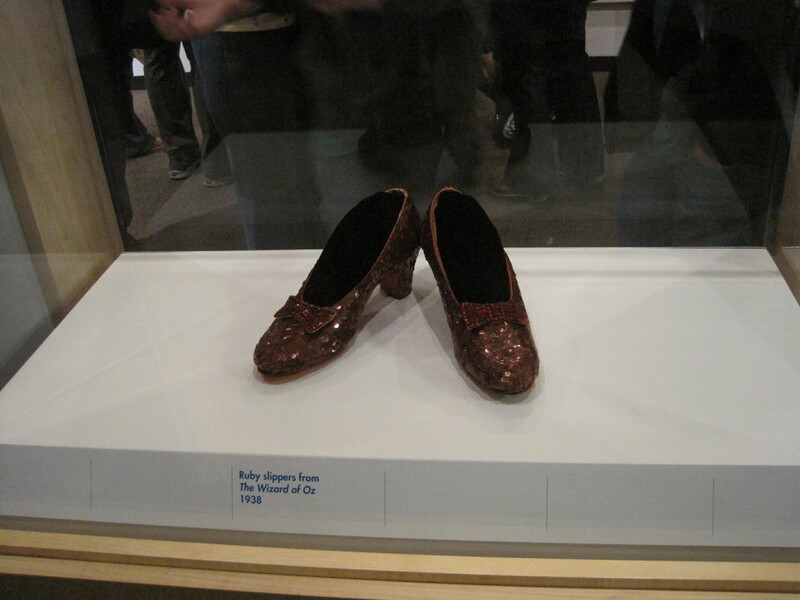 One pair was on display at The Judy Garland Museum in Minnesota but they were stolen in the summer of 2005. Another pair is owned by actress Debbie Reynolds. It is reportedly unknown how many other pairs of ruby slippers there are at this time. So there it is, as I stated in my review of the original novel, it was not my favorite in the series. I could even go as far as to say that The Wizard of Oz film starring Judy Garland is better than the original novel written by L. Frank Baum. I know every single line and sing the songs at the top of my lungs, I have a crush on The Scarecrow and adore Aunt Em, especially when she says, “Almira Gulch, just because you own half the county doesn’t mean that you have the power to run the rest of us. For twenty-three years I’ve been dying to tell you what I thought of you! And now… well, being a Christian woman, I can’t say it!” You go girl! In truth, this movie was one of the best things about my childhood.